“Sarcoma of Liver invading stomach, disseminated. Ascites. Constriction and adherence of appendix (appendicectomy) Cardiac exhaustion. ” Note : nothing about cirrhosis! Last week I showed that the Kelly legend claim that Constable Fitzpatrick was a drunk is wrong; its not true. The claim that he was a drunk is entirely based on the word of the Kelly family, people who told many lies about what happened when Fitzpatrick visited the Kelly house in April 1878 and there is no reason to believe their claim that he was drunk when he got there wasn’t just another one. That’s because there is simply no other evidence anywhere, including his police record up to that day, and right through to the end of his time in the police that he had a problem with drink. 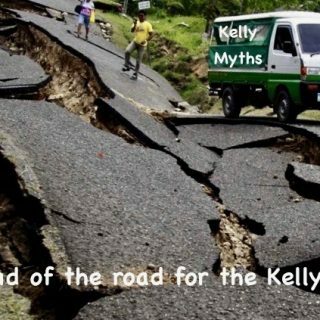 On Facebook all week the Kelly sympathisers have been showing they are in deep denial about this fact, repeating that lie to themselves over and over and over again – they just want to carry on villifying Fitzpatrick with the false label of drunk, but not one of them has fronted up with a single scrap of proof to back it up – thats because there isn’t any! However in desperation they foolishly posted Fitzpatrick’s death certificate, thinking, in their understandable but unacknowledged ignorance of medicine and human pathology that it proved he had cirrhosis of the liver, the disease that alcoholics often die from. However, the certificate, as seen above, actually proved conclusively that what he died from was something entirely different. Sarcoma of the liver is a nasty malignancy, a kind of cancer that in Fitzpatrick’s case was invading the stomach, and as is common with invasive malignancies in the abdomen, there was also ascites. None of this has anything to do with alcoholism or cirrhosis of the liver – he didn’t have it. 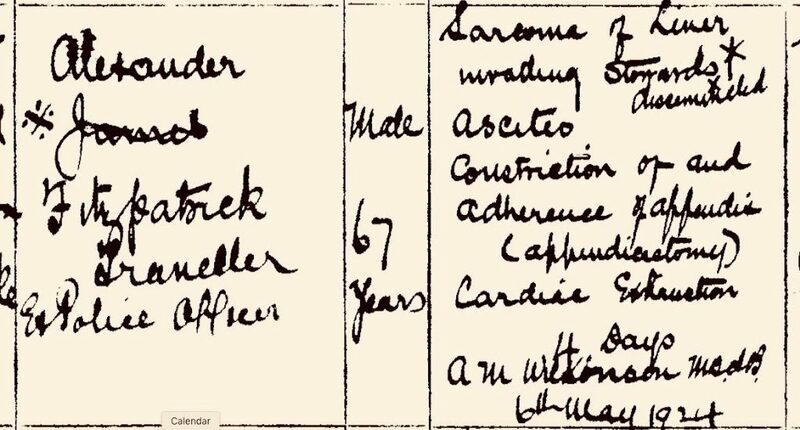 This led to the realisation that a lot of them believe he died from cirrhosis of the liver because that’s what Justin Corfield’s Ned Kelly Encyclopaedia says he died from – but Corfield got it wrong too, as the death certificate shows. An important point that they all seemed to have missed is this : even if the death certificate had said he died of cirrhosis and was an alcoholic in 1924, this was some 46 years after his fateful visit to the Kelly home and it couldn’t possibly be counted in any serious way as evidence that he was drunk on April 15th1878. But it didn’t, and he wasn’t. Corfield’s dates are wrong for a starter: Fitzpatrick was discharged from the force in late April 1880, but the more important error is Corfield’s claim that the dismissal was for perjury and for being a drunkard. As shown here last week there is not one shred of evidence anywhere that Fitzpatrick was a drunkard, and he was never convicted of perjury during his time in the force, so one has to wonder where exactly Corfield got his information from. In fact, the precise terminology given by Chief Police Commissioner Standish as his reason for dismissing Fitzpatrick from the police force, was because of ‘inefficiency and insubordination’ – words which indicate very different kinds of misdemeanour from lying and drunkenness. But what exactly were the details of Fitzpatrick’s acts of ‘inefficiency and insubordination’? Fitzpatrick told the Royal Commission in two separate responses that when informed he was to be dismissed he asked Standish to explain what exactly he had done that justified dismissal. 12893. Had you any opportunity of reply ? ANSWER: I never had the slightest opportunity at all. I applied for a board of enquiry, and the Chief Secretary (Mr. Ramsay) declined, as he had left all power with Captain Standish. Notwithstanding that, there were two petitions got up on my behalf by the residents of Lancefield and Romsey, asking that I might be reinstated. 12894. You think you were harshly treated? ANSWER : I did, indeed. However, Fitzpatrick was also charged with some slightly more serious offences : ‘being in a house at unlawful hours when you had no business being there’ and ‘being at night in the premises of Morris Casey and causing trouble and annoyance to the family’. 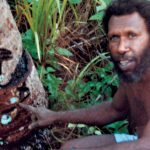 He was also accused by a Sydney jeweller of engaging him in conversation to facilitate the shoplifting of jewellery and money by a maid, Edith Jones. However, none of these three charges was proved, there is no record of him ever being charged with perjury and police declined to prosecute Edith Jones. However, rather than giving Fitzpatrick the benefit of the doubt and accepting that he was innocent until proven guilty, Standish wrote to Sydney requesting he be sent back to Victoria because “..he has evidently mixed himself up in a matter calculated to raise grave suspicions of his honesty. He is I fear a useless and worthless young man”. No proof just suspicions. So, back in Victoria under the watchful gaze of SC Mayes at Lancefield, Fitzpatrick’s every action was going to be closely scrutinised. Mayes later admitted that one way or another he was determined to get rid of Fitzpatrick, saying to the Royal Commission “I had a great deal to do to get rid of him and at last had him dismissed”. Fitzpatrick never had a chance! But what exactly were Mayes actual complaints? They are never mentioned in the Kelly literature for some reason, but Fitzpatrick was interrogated at length about them at the Commission, and what they reveal is astonishing. From this account it appears Fitzpatrick attempted to follow due process and to uphold the rule of law, in refusing to accede to the demands of a ‘swagman’ that he arrest someone and charge him with an assault that Fitzpatrick had no knowledge of. Instead Fitzpatrick advised the complainant to follow due process, but the man complained to Mayes. Mayes ignored due process, arrested the man being complained of and then, no doubt believing he had at last found the reason he needed to set in motion his plan to get rid of Fitzpatrick, reported him to Hare. Babers investigation exonerated Fitzpatrick, no doubt to Mayes disappointment, and resentment was now added to the suspicions he had about Fitzpatrick from the moment of his arrival. Eventually, Standish reported that it was “a piece of gross impertinence to his superior officer” that was the last straw. What exactly the gross impertinence consisted of is not mentioned, but the Superior Officer who reported it was of course Senior Constable Mayes. He finally brought Fitzpatrick down. Its hard not to agree with Fitzpatrick that he was harshly treated. Laughing after lights out, and missing the train were the only two things they could convict him of. But mud sticks! If readers have knowledge of other charges or complaints about Fitzpatrick while he was in the force I would like to hear about them. Next week I will write about the Petition from the citizens of Lancefield who completely contradicted the vilification of Fitzpatrick by police hierarchy, saying of him “He made several clever captures and appeared to us as one of the most efficient and obliging men in the force”. Remarkably, the Kelly myths about Fitzpatrick persist only because Kelly followers would rather believe the word of the Kelly liars and criminals, and of the police they otherwise distrust entirely, than accept the opinion of more than 100 upright citizens of Lancefield. So anyone who criticises Fitzpatrick has either not read your article or else they're dumb. What a magnificent defense of your argument, Stuart. Hi Anonymous, not at all. Most people interested in reading about Ned Kelly, probably 99%, will not have read my article because it is in a very obscure academic journal. Such is life. Of those that have, some have been happy to take it on board. But some others have bagged it without producing any contrary historical evidence, for no reason other than they uncritically accept the longstanding and historically ignorant view of Fitzpatrick's role in the "Fitzpatrick incident" that has persisted for almost 140 years. That is what is wrong. Now suppose for a minute that all the bad things that have been said about Fitzpatrick's personal life were true. Suppose that he was always a larrikin from before he joined the police force right through until they sacked him for insubordination. Suppose he did fancy Kate Kelly and there was some kind of romance and that he also assaulted her on 15 April 1878, and suppose he had also been drinking at a pub for hours that afternoon (as for example FitzSimon's book says). Suppose he was a consistently devious, lying and even corrupt cop, and that he neglected his duty on many occasions. Suppose he had a lifetime drinking problem and died of liver cirrhosis as a result. And even suppose that the conspiracy theorists are right and his going to the Kelly house to arrest Dan was a devious setup y senior to get one of the Kellys by bending the law badly, with Fitzpatrick as the stupid dupe. Suppose all that was true – his testimony about the events of that afternoon still stands up to rigorous scrutiny, and shows that all such suppositions are false and untrue. So the negative suppositions about Fitzpatrick that have been recycled in Kelly books cannot be right. This debate is all about the Fitzpatrick incident. Fitzpatrick's personal life has been discussed in a context of him being called a liar and drunk, and in particular lying about the Fitzpatrick incident – perjuring himself in court to get a wrongful conviction against Mrs Kelly and associates. This is what has led to the discussion about Fitzpatrick's personal life. We can say three things: first, his testimony holds up. Second, his record of service was satisfactory right through 1878, the relevant year. And third, discovered this week, he did not die of liver cirrhosis which was a surprise to me, as I always assumed that what was said about that was true. Now another myth is popped, which means that the other claims about his leading a dissolute life need to be re-examined before there is clarity. Maybe he did; maybe he didn't. The only key thing that my article establishes was that his courtroom testimony can be corroborated through many other historical documents d records, as is shown in the footnotes. That means that most of what has been written about him lying or perjuring himself in court, is wrong. 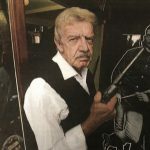 In memoriam Ian Jones – Many will be saddened to hear that Ian Jones passed away today after an inspiringly creative life in film and television, and of course as a well known Ned Kelly enthusiast. He triggered many people's interest in Ned Kelly and wrote in a readable, persuasive and polished style. Vale. That is the problem with life. It comes to an unexpected, unwanted end. My commiserations to his family and friends. Pity he has gone. But I wish he had given better advice to Peter Fitzsimons. At the hate site, the dead wombat with its ear on the ground hasn't picked this up yet. Always behind, always obtuse. Yawn. That's bad news! I met him a few times at auctions that included Kellyana. He was a polished individual. His was a major contribution to the Kelly story and legend, enabling all our recent discussions. I wish he had pasted my book though. It would have made it sell out much quicker! I have criticised you in the past but thank you for your sensitive comments that you have made. Cannot say the same for the person that is above your post Cam West. If you would like to inform Mr West it was our site Ned The Real Story that broke the news and we are all members of your so called hate page.Our site the real story has authors, respected researchers and also family members that really know the true story.I am sorry to inform you Cam West but it is this site that is way behind in breaking Kelly news.The talent in our group surpasses by far the people that waste their time on here. Ned the Real Story? There's a site with that name? If it's peopled by members of the "hate site" it will be Kelly denialist garbage. So anonymous member of the hate site, aren't you a hypocritical piece of work -coming from a place that endlessly condemns people for being anonymous? So, as there are only three members of the have that place you're either the troll master or one of his two cheer leaders, Bob the professor of pathology or fat Greg. But really who gives a damm about which hypocrite you are? The half-wits at the Hate Site are falling over themselves to ridicule Leo Kennedy, great-grandson of Sgt. Michael Kennedy, murdered by the Kelly Gang at Stringybark Creek. Not one of them has seen his unpublished book. The hate site is based on silly criticism of a book HALF-read by the webmaster. What a bunch of Drongos! Looking forward to Kennedys book. Morrissey has Fitzpatrick dying of cirrhosis of the liver in his latest book. (Selectors, Squatters, Stockthieves..) Perhaps he missed the memo? He also suggests that the prison record sheet is not our Fitzpatrick. Wrong birth date. So there were 2 Alex Fitzpatricks kicking around. Its a fascinating book. Suggest everyone, and I mean EVERYONE, get themselves a copy. A long-winded reply and desperately avoiding the point, but my original comment stands. Stuart Dawson's response to criticism was to say people either had not read his paper or that they're all dumb-dumb heads. Way to go, Stu. Classy, very classy. Still waiting for mine! Get started on your Book Review Mark! The Loon who runs the Hate Site says: "One of David’s other fake identities, Mr.T is shooting his mouth off about Leo’s book. I have seen it Davey, but will not advertise it here, so you are wrong again. Oh, and Davey, stop trying to sound like an Aussie, as you are only making a bigger fool of yourself than you already have". You can't have seen it. It isn't published yet. Mark Perry spoke to Mr T by phone recently. He isn't Dee. Another giant mistake. More fake news from the Hate Site. The defamations of Dee and others here are becoming increasingly wild and extremely serious. Get a grip. Shut up. Tread lightly. Fitzy, the leader of the drongo pack. You silly naive idiot why don’t you and the brainless twits Bob and Co just go away and leave the Kelly business behind you. You all look outrageously stupid. You will all be remembered for what you are, not who you are. We’re sick and tired of you defending Kelly in fact you’re not, you’re doing the opposite. Dee “As always anyone who wants to contribute to the discussion in a positive way, anyone who wants to play the ball and not the man will continue to be welcome to do so, whatever their opinion is." also asks to ‘please post polite sensible comments, avoid personal abuse”……Mmmmm. Bunch of Pathetic Drongos. Dead wombat with its ear on the ground. Silly naive idiot. Brainless twits. Outrageously stupid. Half-wits. The Loon who runs the Hate Site. Fitzy, the leader of the drongo pack. Get a grip. Shut up. Tread lightly………… Really? Why do people refuse to behave the way I want them to? Anonymous I think is referring to people on Facebook who lately have accused me of being a thief and an alcoholic, have written all manner of abusive things about Leo Kennedy ….on and on it goes. Somehow I think you will know exactly who I am referring to but I havent seen you go there to object to it. How strange! But I do think we could express out contempt for such people in better ways. While Corfield is the one copping all the flak for the death certificate findings in his 2003 book, I started to wonder if any author previous to him had published the same information. "Alexander Fitzpatrick died on 6 May 24 at home, his death certificate describing him as 'traveller and ex-police officer.' The certificate stated that he died of cirrhosis of the liver and then cardiac exhaustion." So far I see that Kevin Passey in "In Search of Ned" from 1986/88 had the same info, as Corfield listed Passey under the sources for the Fitzpatrick entry. "In May 1924 Fitzpatrick developed cirrhosis of the liver and he died after cardiac arrest on 6th May 1924." So, did Corfield actually see the death certificate for himself and misinterpret the findings or did he just quote someone else such as Passey? (but Passey did not have the traveller/ex-police officer part, so Corfield must have seen it, right?) And where did Passey get the info? Did he see the certificate (and misinterpret it, too, odd how both would) or did he quote someone else? So, what is the original source of all of this in print prior to the late 1980s other than the death certificate itself? Great questions Sharon! My guess is that Corfild DID see the certificate – and, as you say, noted that Fitzpatrick was a traveler and ex police officer – but then, didnt think to challenge the accepted wisdom that Fitzpatrick was a drunk and perhaps assumed without checking that the cirrhosis mentioned by Passey was the same thing as 'sarcoma'. So are you still sick of hearing about Fitzpatrick? I am finding it a fascinating topic for investigation and re-evaluation. Stuarts study is of course the definitive document, but it must not be allowed to be ignored and forgotten about. Fitzpatrick is so central in the Kelly narrative its important we get it right for the new generation of Kelly history students. The old guard are going to stick to their hateful prejudice and their unhistorical dogmas, and I see are going to recycle them at Chiltern next year, but they will eventually die out and the new view of Fitzpatrick will assume the ascendancy I am certain. There is a very long-standing rumour that Ian Jones stored the original Jerilderie Letter in a Melbourne bank vault. I'm talking maybe 30 years ago. The original came into possession of Jerilderie Bank of New South Wales teller Edward Living. There are a thousand possibilities how Ian Jones got hold of it. And I am making no insinuations here. But my bet is that the provenance of it at the State Library of Victoria does not mention Ian Jones. There is a slight question mark. If the above is so, Ian Jones kept the original copy out of circulation for many years. But when checkers of the rumour closed in, it suddenly reappeared and was given to SLV. I can't make sense of this. 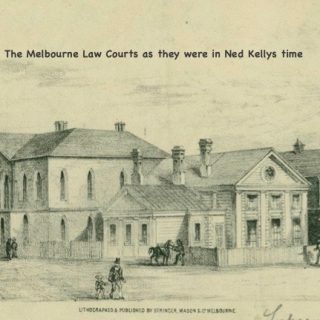 The Jerilderie Letter is pivotal to the Ned Kelly Legend. Keeping it hidden for many years didn't help that cause. What was Ian up to? (Of course, very saddened to see him go). Hi Ashleigh, Ian Jones explained how he learned of the existence of the Jerilderie letter, and the acquisition process, in a short article that can be found online – Jones, Ian, ‘Ned Kelly's Jerilderie Letter’. LaTrobe Journal, No 66, Spring 2000, pp. 33-37. He said he made it available to "bona fide researchers", which presumably means his opinion of who was a bona fide researcher, from such time as he got it to when he was able to reassure himself that an institution would preserve it, and that it took a fairly long time until the State Library had someone who would ensure that happened. In the SLV Ned Kelly display its acquisition is attributed via his wife Bronwyn Binns. I can't remember if the display also mentions Ian Jones. The question of when it was displayed for ready viewing at SLV doesn't make any difference at all to research as far as the letter's general text goes, as the text was published in 1948 by Max Brown in his book "Australian Son". However, seeing the manuscript does make some difference to commentary, as the different inks and handwriting variations show it was written in stages. Jones discusses this at the end of his "Short Life" book. 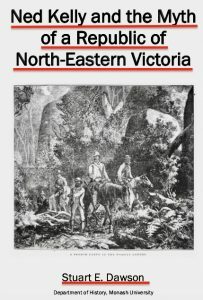 His interpretations in both that and the Latrobe Journal are highly coloured by his belief that it was a draft or precursor version of a declaration for a republic of north-eastern Victoria, which is complete nonsense exposed in my free book, "Ned Kelly and the myth of a republic of north-eastern Victoria". This can be downloaded from Bill's IronIcon website. Just Google the title to find it online. Once people realise that, the interpretation necessarily changes enormously. In my bibliography there is an online URL for a free transcript of the JL, from one of the NSW councils – beats paying anyone for basically turning the free text into a retail book! What a ripoff… And as for a cut-down "schoolkid" version I saw recently…. As someone who "talked Kelly" on a few occasions with both Ian and Brownwyn Jones, I can say they were both extremely open, sharing, warm, encouraging, generous, willing to hear alternative points of view, possessing great integrity and unreservedly friendly. Stuart Dawson, the picture of Ian Jones you suggest is incredibly ignorant and offensive. "…his opinion of who was a bona fide researcher… when he was able to reassure himself…"
You seek to paint a picture of a small-minded, petty, jealous, insular man. No-one who knew Ian will recall these words as accurate on any level. You can have your opinions on the Republic and a few other topics (yes, I've read them, before you self-advertise, again). But you are an ignorant and vindictive fool to be on a Kelly site (even this one) spouting such crap. Hi Stuart. I didn't realise the Jerilderie Letter contained different handwriting variations. Do you mean different to the extent that it was written by different writers? So I disagree those comments show Stuart to be 'an ignorant and vindictive fool'. Maybe, with Ians passing being so recent, there a heightened sensitivity about anything that could possibly be criticism of him. I dont think Stuart meant to be critical or to offend anyone. Anonymous, you have completely misread the sentence that you part quoted. The first part about "bona fide researchers" is quoted from Ian Jones' 2000 article. That's who he said he made it available to. That is a generous offer, certainly. Now what is a bona fide researcher, which is a qualified statement – you tell me. The second part you have got completely wrong. I said, exactly as Ian Jones says in the article, that he wanted to get it into the library or similar institution where he could be assured that it would be looked after and availed to the public, not discarded as so many other bits of Kelly material had been. If you bothered to read the Spring 2000 Latrobe Journal article before jumping online to vent your spleen about what a fool I am, you would see that this is exactly what the article is talking about. That is why I provided the information about the article for Ashleigh's benefit. I don't know why I even bother sometimes. I don't paint any picture of Ian Jones at all and never said a word about him in the above paragraph. It is entirely about the Latrobe Journal article. You have entirely made up the idea that I have a negative image of him or have said anything against him, and if you have been on this site before you will have seen that I have never made any personal slights against him anywhere, and have stated several times in various contexts that that his work has mightily advanced Kelly studies, regardless that I have disagreed with some specific historical points. Again, I do not and never have sought to paint any picture of Ian Jones as a person, certainly not a negative one. You have entirely made that up and owe me an apology. Thanks for clearing that up, Stuart! First and foremost we owe our gratitude to Bronwyn Jones as it was she who wanted the Jerilderie Letter to be donated to the state library. Ian fulfilled her wishes. The letter was not in their possession as Ashleigh Broad states for over 30 years. Try researching the facts before mouthing off. Hi Dee, I just replied to that before your reply turned up. Anonymous obviously didn't read the Latrobe Journal article before jumping online to put me down. That's why I don't use social media, it's full of keyboard warriors who get things backwards. Well Macca, you have done exactly the same thing on here and on your FB pages, many times. Your guess about heightened sensitivity is incorrect. There has been a repeated pattern of denigrating, snide and completely unwarranted comments over several years, sometimes with a hint of subtlety and sometimes without. Anonymous I might be tempted to take your comment about 'unwarranted comments' seriously if I had noticed anyone from the Kelly sympathiser ranks such as yourself ever raising an objection to the extreme over-the-top bullying and vilification that Stuart , Morrissey and myself and others are subjected to on an almost daily basis elsewhere on the world wide web. What would you know, Anonymouse. You could be anyone – and probably are. I didn't say they possessed the letter for 30 years. Stop making stuff up. Can't you read? I said I heard about the rumour thirty years ago. It turns out Ian did have it, under what circumstances we may never know. It's obvious it didn't belong to him. The owners were the descendants of Edward Living. This is not good stuff! Questionmarks everywhere. listen pal and i quote 'There is a very long-standing rumour that Ian Jones stored the original Jerilderie Letter in a Melbourne bank vault. I'm talking maybe 30 years ago' There that sounds like ur extending the truth. I was going to give you a blast, but relented because I heard on the grapevine that you are struggling with various issues. I am no friend, but I wish you good fortune and hope things turn out well. You are the only Kelly buff I know of in Eldorado from NKF. Best wishes! Still no apology Anonymous? So you think it’s OK to go online and call me “an ignorant and vindictive fool” spouting “crap”, when you have stupidly misread what I wrote and published a totally mindless LIE that I bad-mouthed Ian Jones, when I made no personal comments about him at all? And after slagging me off with your ignorant lies you say I shouldn’t be on the internet? Then you have a go at me for quoting FAVOURABLY from one of Ian Jones’ own published articles to explain something about the Jerilderie letter? Without even bothering to check the article I quoted from and seeing that I quoted accurately? Just like in the extract I posted later, from the same LaTrobe Journal article that you hadn’t bothered reading, where I quoted Ian Jones FAVOURABLY to explain the differences in the Jerilderie letter’s handwriting in my reply to Peter? Then after getting it all completely wrong and abusing me out of the blue for NOTHING, you tell me to “Try researching the facts before mouthing off.” Two days later and still no apology. Well done Anonymous. Feeling better for that Stu? 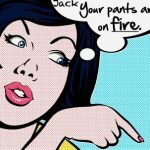 Ok, time now for you to put your pants back on. No apology from me whatsoever. Try to not throw another tantrum at that, eh? Why no apology? Because I stand by my points, regardless of how much you squeal and shout. It wasn't just this time either. Your presence in the Kelly world over the last few years has been peppered with derision, condescension and a unique ability to ignore (or possibly just not comprehend) the value of varying historical interpretations. Yes, I mean the idea that some might see events leading to the death of Metcalf differently to you. Some might look at the republic and conclude, once again, differently to you. Or is this the Monash way? Grandstand, constant self-advertising and crack it when the masses don't hail you as some sort of Kellyland messiah? Surely not, Monash, surely not. Anonymous, you could have contributed your knowledge to the discussion then we might have all learned something including me. But no, you chose to launch a completely wrong-headed, unjustified and unwarranted personal attack on me and shovel abuse at me out of the blue for things I never said, and then tell me I shouldn’t be on the internet. When I stuff up I’m man enough to apologise. Therefore I asked you for an apology. Over to you, but it looks like I'm not going to get one. So be it. 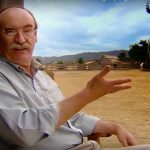 For the information of contributors to this "discussion" about Ian Jones, the Jerilderie letter and what Stuart Dawson wrote : Ive NOT published a couple of angry contributions from people on both sides of this debate because it was getting nowhere and descending into abusive attacks and ugliness. I think you've all made your points. Lets move on. What I wish is people would discuss my posts abut Fitzpatrick! Don't agree one bit, Dee. Some of the stuff that ignorant rabble say in their rants is abominable, defamatory, rubbish. The anonymous dung beetle who attacked Stuart did so repeatedly and seemed like a mindless idiot. If you have a policy of stopping abuse, SQUISH people like the anonymous dung beetle when they first appear here. It's no good after they have caused disruption, and put people like me into an apoplectic rage. We can't comment and disrupt the Hate Site mega fortress. Why let them here at all? Give them all the bum's rush. FitzPatrick showed courage, but was probably remiss in going to the Kelly home alone. He would have known about the Ned Kelly arrest warrant as well as the one for Dan Kelly. Not a good place to be outnumbered. I think this undisciplined miscalculation set superiors against then and later. Found this bit regarding Fitzpatrick's death in the Frankston and Somerville Standard at Trove making reference to the appendicectomy we saw listed on the death certificate. Hey that was a terrific find Sharon. What I like about it is the phrase "largely attended" . This adds to my growing sense of Fitzpatrick as a man that people liked and got on with – except of course, if they were rigid disciplinarians and enforcers of rules like the Police! There seems to have been something about his manner and approach that caused such people to distrust and dislike him, whereas ordinary people from all walks of life – selectors to MPs – mostly liked him. Do you still regard him as negatively as you have done in the past? Dee, you know me, I am the original super sleuth. Neat that you put up the article itself as a feature so that no one misses it because folks who don't read all the comments sometimes miss out on stuff that could be of importance. While I am getting very weary of the Fitzpatrick discussion that has been going on for the past several weeks it seems that you have dug through a humongous pile of poop and found a pony under it. Amazing how so many got it wrong for so long. I still want to know the original author who first touted the cause of death as cirrhosis which everyone else parroted. I still get the feeling that Fitzpatrick is somewhat like Mr. Wickham in Pride and Prejudice. If you have seen the films or read the book, you will recognize some of the traits they share. As Mr Bennett wryly noted "He simpers, and smirks, and makes love to us all." No doubt at all that many could be drawn in by him who did not know him on a close intimate basis. Maybe Fitzpatrick is not quite the blackguard he has always been painted as, but I still have many reservations as concerns his overall character. Yes I DO know you Sharon ! I love that analogy about finding a pony under a pile of poo! And I do agree that there was something about Fitzpatricks personality that nobody has quite put their finger on, but there's little doubt in my mind that he has been grossly misrepresented in the kelly stories and a correction was long overdue. Hi Dee and Sharon, I know Alexander Fitzpatrick's gaoling for passing dud cheques has been discussed a few time before, and I have accepted along with most that it is the same man as ex-Constable Fitzpatrick as was stated in a cou8ple of newspaper articles, so it seems pretty clear. But just as it has been possible to recently locate death certificates for ex-Constable Fitzpatrick and George Metcalf, do you know f it possible to search for a birth or death certificate that might match the birthdate of Prisoner Fitzpatrick? His details are on Prison Record VPRS 515 Vol 48 p. 362, which gives his date of birth as 18 Feb 1856. What if it did turn out to be a different man from ex-Constable Fitzpatrick? The thing that makes me curious is that ex-Constable Fitzpatrick had a bullet scar on his left wrist from the 1878 incident, that is not mentioned in the prison record. And Prisoner Fitzpatrick had "Scar on left side of head", but no mention of a left wrist bullet scar. So I am still curious about the discrepancies, and certainty of proof would be good. My mistake Dee and Sharon, the birth date of 18 Feb 1856 is for Constable Fitzpatrick. The prison record has only 1858 entered for Prisoner Fitzpatrick's DOB (and his occupation as farmer). It will be much harder to solve anything without a specific date. I'll let this one slide, but who knows if anything else will turn up one day to provide certainty either way. No worries, Stuart. Easy to get confused. I kept looking and looking at the prison record trying to find the month and day! I knew it was the exact date of Constable Fitzpatrick's birth, so if it was there it was solid proof! Ha! As for the year on the prison record, had to look close as the 1858 had part of the last digit faded or partially un-looped. It could pass for 1856 if someone did not look too closely, but then you would have to compare the other numbers on there. That is what is so aggravating about having people of the same name and same religion near the same age doing stuff. The part about him being a single farmer is sort of odd, too. But why were there no newspaper retractions after his name appeared as the culprit? Hi Sharon, when all this was discussed by a number of people quite a while back it was generally accepted on the basis of some newspaper reports which identified the man charged and convicted of passing dud cheques as ex-Constable Fitzpatrick, that it was the same man. I remember discussing this with someone who has expertise in colonial prison records, and was advised that there are quite a number of cases where prison records are wrong in various particulars, such as age, height, occupations, and more. This may simply be another instance of that. Therefore I went with the flow and accepted back then that it must be the same man. It didn't (and still doesn't) bother me as it is about 16 years after the "Fitzpatrick incident" of Kelly fame, and totally irrelevant to the question I looked at, which is whether Constable Fitzpatrick's evidence about that stacked up; and it did. But since Morrissey's new book (p. 273) says there were two Alexander Fitzpatricks born a couple of years apart, and that the ex-constable and the prisoner are two different men, I am back to keeping an open mind that this may be the case. Unfortunately there is no reference to direct evidence for Prisoner Fitzpatrick's birth, death, or anything else given there as compelling proof, but the thing about being open to it is that nothing is lost by doing so. It is just a question mark in the narrative, nothing more. I am not joining Morrissey in asserting they are two different men without definite proof of Prisoner Fitzpatrick being indisputably identified as a separate men. How's that for hedging bets? Ive also not accepted Morrissey's claim that there are two different Alexander Fitzpatricks – even though it would be easier to defend 'our' Fitzpatricks reputation if there were. Somehow I think 'our' Fitzpatrick would have objected to someone elses crimes being wrongly attributed to him – but as far as I am aware no such objection is known of – which could be just because it hasn't been rediscoverd….but on balance, I favour the 'one Fitzpatrick' theory! Morrissey unfortunately has repeated Corfileds mistake about 'cirrhosis' and has joined the police in generally trashing the mans reputation. This quote from p271 is really appalling, and entirey unsubstantiated " Although an engaged man Fitzpatrick had felt himself free to pursue romance wherever he found it, sowing his wild oats with abandon, fathering children and promising marriage when it suits his purpose to do so"
This is an entirely baseless claim and Morrissey ought to be ashamed to have written such rubbish. Hi Dee, remember that the examination of Fitzpatrick's death certificate and the discovery that he died of a cancerous liver problem totally unrelated to cirrhosis and alcohol issues, only a few weeks ago, post-dates Morrissey's book which would have to have been finalised before the first shipping orders were taken back at the start of July. So he has simply repeated the widespread and now shown incorrect claim that Fitzpatrick died of a boozy liver. Without the detailed discussion and medical review of what his death certificate showed as the cause of death, there would still be many who would not challenge the wrong understanding that sarcoma was related to cirrhosis. I think that the discussion here on your blog is probably the first time that this has been revealed, and this is a major revelation as it requires everyone looking at Fitzpatrick to consider the possibility that much else that has been said about him may be not as certain as has been believed for several decades. Morrissey's view of Fitzpatrick was formed back when he wrote his first 2015 book, that Fitzpatrick was a womanising larrikin policeman. That book was published before my "Redeeming Fitzpatrick" article, which came out later the same year. In his new book, on p. 272, he indirectly mentioned my article, saying that "a recent view … goes too far in trying to redeem him as a decent and honourable policemen. … As a young man his motivation and behaviour were clearly linked to his larrikin view of the world and shanty friendship with the Kelly family. To state otherwise is to misinterpret how he and the Kellys perceived themselves and lived their daily lives". I think that goes too far the other way, in that there is nothing to show that Fitzpatrick had a drinking problem throughout his time in the police force, or that he had a shanty friendship with Ned or any Kellys while he was stationed in the north east, or that he was a larrikin ratbag before he joined the force. This seems based on Kelly myth. That last idea is based on a comment by Chomley, from his enquires well after Fitzpatrick had been cashiered and his name long smeared in the press. There may be something in Sharon's comparison with Wickham, but then Fitzpatrick's later apparent respectability and long marriage tend to weigh against it. I will continue to keep an open mind about whether there might have been two Fitzpatricks of similar age as it doesn't hurt to do so. The other thing is that Jones's 1968 chapter, "A new view of Ned Kelly", has hardly any references; and the same with Geoffrey Blainey's fascinating "Black Kettle and Full Moon", where I'm sure many would also like to know the sources of information but are denied that pleasure. Then there is the Molony approach of citing a whole series of something without bothering to name the particular date and page within it that the reference relates too! There are whole professions of academics that semi-hide their references, such as psychologists who use the form (Bloggs, 1993) with no page number, so that anyone wanting to critique their work has to read 50 articles before they can start. Hi Dee, further investigation has traced the source of this stuff to our old friend Molony. 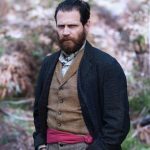 In Morrissey's 1987 PhD thesis p. 190 we find, “Although he was only a young man of twenty-two in 1878, Fitzpatrick was a veteran of many love affairs and the father by different women, of two illegitimate children”, citing J. Molony, “I am Ned Kelly”, pp. 96, 97.